My favorite coffeehouse barista, Juliet Langley, is back in action in Caroline Fardig’s Brew or Die. But Juliet is no longer just a coffeehouse manager who stumbles onto crime and sleuthing – now the red-head is an officially licensed private investigator in Nashville. This makes perfect sense in the chronology of the character through the books, but it does take away a little bit of the fun. The fiancée of one of Juliet’s Java Jive employees has died of an apparent overdose. But the employee (Shane) is convinced that there’s foul play and talks newly licensed Juliet to investigate. Juliet (“Jules”) is also working some other cases with her friend Maya. Those cases have her working undercover after hours as a member of a late-night cleaning crew. Somehow she also still manages Java Jive as well. In addition to the P.I. work and the coffee-house, Jules finds time to pursue some extra-curricular activities with her boy-friend John Stafford – a police detective whom she now works with in her capacity as a private investigator. But Juliet’s former boyfriend, Ryder, keeps trying to warn Jules about Stafford. One of the big attractions I’ve had with this series to date is the character of Juliet. She’s spunky with a charming innocence about her. Even with all the dead bodies she’s had at her feet she’s maintained an energetic, can-do spirit. But now, with her PI license comes a more stalwart and steady Jules – someone who doesn’t jump without looking. This is more responsible on her part, but less fun for the reader. Clearly the character is growing and with the change comes some growing pains. This is my least favorite book in the series but I’m far from giving up on the character or the series. I’m happy to keep going and see what other changes are in store. The mysteries are getting stronger, and Juliet now has the opportunity to legitimately get involved in more cases, but I hope author Fardig doesn’t lose sight of Juliet, who is the real reason we read the books. Looking for a good book? 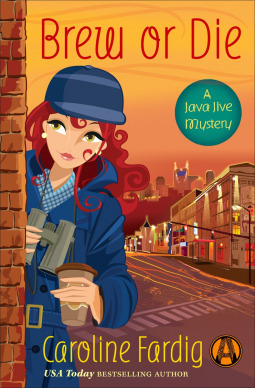 Brew or Die is the newest book in the Java Jive series by Caroline Fardig. It is not quite as strong as the previous books in the series, but it’s still a worthwhile read. Mai has become the new Majat Guildmaster. After the Majat victory against the Kaddim, Mai plans to follow the Kaddim to their camp to finish them. Kara is a Diamond Majat – one of the best warriors ever. Kara and Mai are deeply in love but protocol between a Guildmaster and a Majat is strict regarding what they are permitted to do. But right now Kara has another problem… during the combat, one of the Kaddim placed a ‘mark’ on Kara allowing him to affect her fighting prowess and listen in to what Kara hears. The one person who can help Kara also has feelings for her and helping her would help his rival, Mai. I read the first two books in this series (see the review for book one here, and book two here) and started out really enjoying these characters and this world. But the second book took a turn and was as much about the romance dance between our main characters as it was about the skills of the Majat. But there was still some wicked scenes of combat that were really exciting and kept the book flowing. But I could sense the change. And now the change is even more obvious. This book becomes much more of a romance than an epic fantasy story. My biggest issue with this change is the change in characterization. Kara, our main protagonist (alongside Mai) becomes more of a teenage girl with desires and faults than the supremely trained warrior that first fought alongside Mai. This first became obvious when the Kaddim ability to infiltrate Kara’s thinking interrupted her during a fight. She says, to herself, “It’s the Kaddim. They can disable me in a fight. There was no way in hell she was going to say this out loud. If she did, it would make it all true.” But most of the fights hinge on Kara and prowess. Rather than being the leader that she has been through the two previous books, she jeopardizes the entire Majat forces because of her pride. Kara averted her gaze. She knew she should be used to women ogling Mai by now, but the idea that he would be propositioned by women used to getting what they want and not in the least bit shy about it still did not sit well with her. “Yes.” Try as she might, Kara couldn’t help the blush that rose to her cheeks. “I did.” Kara felt hot now, despite the cool evening wind wafting through the tent. Although I was hesitant to begin the series, I found that I really enjoyed the first book and looked forward to reading the series. But I grew disappointed with the turn the series took (at least the turn I observed) and I end the trilogy feeling betrayed. I was not expecting to read a YA romance/fantasy, but that’s what I got. Looking for a good book? 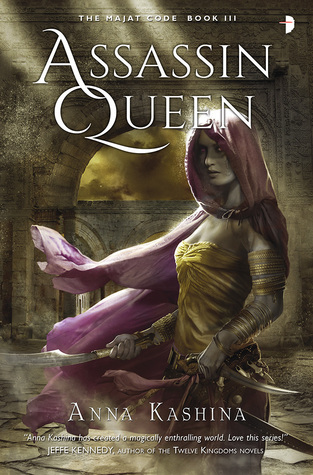 Assassin Queen is the third book in the Majat Code series by Anna Kashina and is much more a YA romance than an epic fantasy that the first book set up. From the author of the popular and much-loved book, The Kissing Hand, comes this new story in the life of Chester Raccoon – Chester Raccoon and the Almost Perfect Sleepover. Like author Audrey Penn’s other Chester Raccoon books, the story is very simple and very direct. Here, Chester is about to embark on his first sleepover at a friend’s house. He’s nervous about spending a night away from home and his mother. She gives him a kiss on his palm (ah…how nice to bring back a reminder of The Kissing Hand) and sends him off to play with his friends with Mrs. Opossum gently watching over them. But as evening/night draws on and the group of friends grows tired, they settle in to sleep, but Chester can’t sleep. Eyes wide, he’s nervous as he looks around in the unfamiliar surrounding. Ultimately he goes to Mrs. Opossum who asks if he wants to go home. When he says he does, she enlists the help of Mrs. Rabbit who escorts him back to the warm embrace of his mother. On the first reading, I wasn’t too sure how I felt about Chester not staying with his friends, but as I thought about it and re-read the book, I realized that the message here is that it’s okay if you aren’t ready for something. Everyone grows and matures in their own time and that’s okay. And as I recognized that, I liked the idea behind the story a little more. Most of the story (two-thirds) is actually the friends playing together. While it’s nice to see the fun side of the play-date, to counter the fear Chester has later, I’d liked to have spent just a little less time here, and less time making fun of the skunk’s smell. If I had little children, this would be a nice book to read to them when they are about to go on their first sleep-over. But make note of that point. There’s only ONE first sleep-over. Although I like the book, I don’t see many multiple readings because it won’t be necessary and therefore not requested by the young ones. The illustrations by Barbara L. Gibson are bright and cheery and perfectly suited for this type of children’s picture book. Looking for a good book? 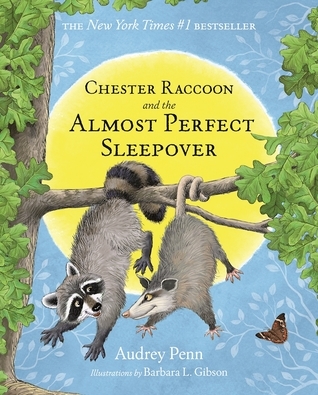 Chester Raccoon and the Almost Perfect Sleepover by Audrey Penn adds story to the life of Chester Raccoon (The Kissing Hand) and is a nice reminder for children (and parents alike) that it’s okay if you aren’t ready for something new and scary. I may not be a person in a hurry, but when it comes to math and science I’m pretty slow and I looked at this book more as a “Dummies” or “Idiots” guide and that seemed to work pretty well for me. On occasion the book got a little too technical for my simple brain, but for the most part even I was able to follow along and learn some pretty good things. I really enjoyed this book. There are aspects of astrophysics that I understand much better, although the true astrophysicist might find this too simple. I believe that this does exactly what it sets out to do, which is to give the layperson just enough knowledge to be able to listen intelligently and perhaps even contribute to a conversation when it turns to the stars, space, and everything in between. Looking for a good book? 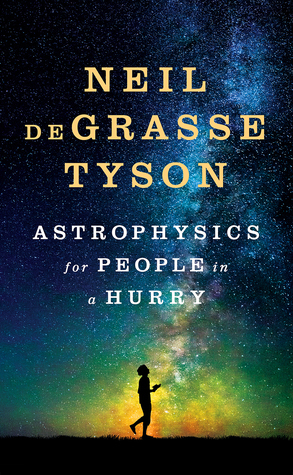 Astrophysics for People in a Hurry by Neil deGrasse Tyson is an intelligent read, bringing the non-physicist up to speed with what is happening in the universe. I know that paranormal romances are a hot item in the book market these days and so, in the tradition of opening myself up to new material, I thought I’d try something billed as a paranormal romance. And being married into an Irish family this series title – Irish Traveller – seemed just as good a place to start as any. But I was greatly disappointed with this book. What does it take to be considered ‘paranormal’? Not much, apparently. There is a moment or two early on which had me ready for something, but then as I got deeper into the book I thought maybe I had imagined things. But then it cropped up again, ever so slightly, and it continued to crop up, just enough to be considered a paranormal story, but certainly this comes across as a means to be considered paranormal but it feels tagged on rather than an integral part of the story. I admit that I haven’t read much in the way of romance before this, but I found nothing ‘romantic’ here. There is some longing and some characters talk about wanting one another, but none of it ever feels authentic. I didn’t believe anyone and I didn’t care what happened to anyone. Mostly this was some nicely done research and a lot of annoying Irish brogue dialog. I’m not the usual target audience for a paranormal romance … I get that. But I’m willing to be open to finding a good book in any genre, and this just didn’t work. I’ll try again with another author. Looking for a good book? 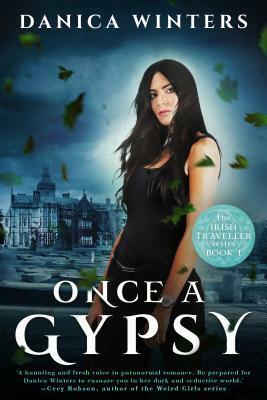 Once a Gypsy is billed as a paranormal romance by Danica Winters, but I found nothing romantic about it and it’s barely paranormal. Isaiah (IQ) Quintabe is a kid from the streets in a tough part of town. Early in his life he, like many other kids his age, would shoplift from local stores and then sell his items on eBay. But IQ discovered he had another talent. A talent for solving problems. He straightens out his ways and just by word of mouth develops a clientele asking for his help. Today, IQ is hired to find out who is threatening the rapper “Black the Knife.” It’s going to take all his street smarts and all his sleuthing skills to figure this one out. I was really eager for this book, and it’s a relatively quick read, but by the end, I was terribly underwhelmed. While this is one book about Isaiah Quintabe, it’s two stories, jumping back and forth. Sometimes we’re in his early days watching him discover and develop his skills, and then sometimes we’re in ‘today’ as he gets hired by Black the Knife and he faces off against some pretty tough costumers. Switching timelines is not a new literary device, and author Joe Ide doesn’t do anything new with the idea. The chapters clearly tell us which time period we are in and the 2013 years are pretty linear and easy to follow along. But the 2005/2006 years don’t offer us quite the same consistency. Simply…the switching of narrative was annoying. And pointless. I think it would have been smoother to have one story to tell, with some sub-plot and red-herrings, and then in a different book tell IQ’s back story. But doing it all at once in this first novel was rather muddy. It’s like we got a novella, and the author’s notes on how the character began. I liked Isaiah well enough but I wasn’t but I wasn’t truly drawn to the character. He was interesting to observe but I never felt involved. In large part this was because of the jumping around stories. I could have gotten involved in either one of the stories but they really were different enough that it was difficult to stay connected. Given a preference, I enjoyed the 2013 story. It wasn’t important to me how IQ got to this stage in his life. Not yet. Over all, not a bad first novel, but not quite the home-run that I was hoping for. Looking for a good book? 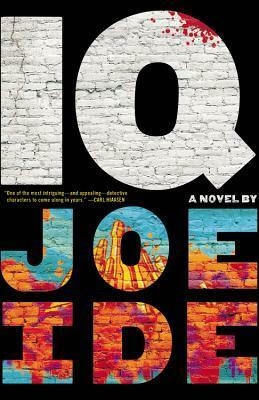 IQ, by Joe Ide, is an interesting social mystery, but skips around the timelines too much to be really involving. Reader’s Theatre is a bit of a lost art. From the late 1970’s through the mid-1980’s I participated in a number of reader’s Theatre programs – usually through church groups but also in my university theatre program. It’s quite likely that some of those scripts I performed in were written by Aaron Shepard. This current collection of short reader’s theatre scripts is a revised reprint of a collection printed in 1993 and revised in 2005. They’ve been revised again for fit the e-device reader. The scripts are geared for a young audience – late elementary school/early middle school, most likely and it is easy to see how these short plays, intended to be read aloud and not necessarily performed, might fit nicely into a school English or speech class. You’re fatter than butter, you’d melt by the fire. You’re very much fatter than I could desire. When I see you, my courage commences to ooze. I’ve come to propose, but I hope you’ll refuse. Funny, but every overweight child in the class will cringe and there will be snickering all around. I don’t see this particular script getting much attention in today’s educational system that is extremely sensitive to issues such as this. All the scripts were adapted for reader’s theatre by Aaron Shepard and they do tend to sound the same when you read them straight through, as I did. My favorites were Millions of Cats, Three Sideways Stories from Wayside School, The Jade Stone, and The Bean Boy. Looking for a good book? 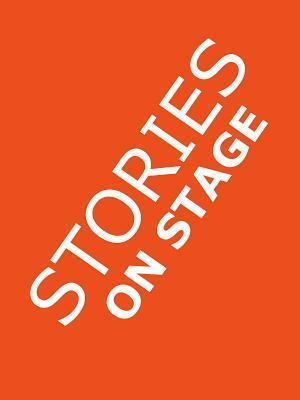 Reader’s Theatre is a great opportunity to involve a number of ‘performers’ without having to spend any rehearsal time and Aaron Shepard’s Stories on Stage is a collection of fifteen Reader’s Theatre scripts for young readers and is a wonderful introduction to the format.